Highly opinionated; hardly off the mark. 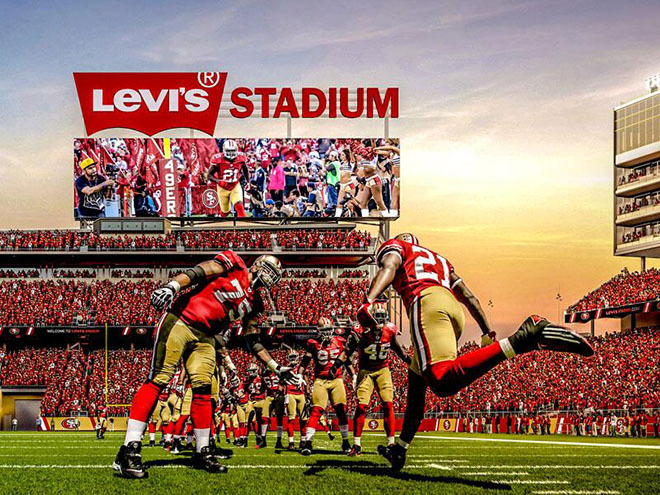 Field of Jeans: Are Sports Sponsorships Always a Good Fit? Think about what you could purchase for $200 million. I can contemplate my approach, only to realize how challenging it would be to wrap my head around this sum of money. Thing is, when your name is Barclays and you’re engaged in the business of financial services with an extensive international presence, $200 million is hardly an overwhelming figure. It is for this reason, among many others, that Barclays uses the medium of sport to enhance its affiliation and direct associations with specific entities in a manner that will capitalize on the benefits related to the affiliation. In a way, it explains Barclays’ motivation to come to an agreement with Brooklyn Nets’ ownership and spend $200 million over a period of 20 years on the naming rights for the Barclays Center in Brooklyn, New York. Surprisingly, “Barclays Bank originally agreed to pay a record $400 million for the 20-year naming rights deal. But two years later, with the economy slumping, the deal was renegotiated with arena developer Forest City Ratner, and the price was sliced in half to $200 million.” I can only imagine how thrilled Nets ownership must’ve been when they heard the deal that was originally going to cover 62.8% of arena construction costs would be slashed to a measly 31.4%. This is under the assumption that the Barclays Center cost of construction was only $637 million, even though there is speculation that final costs tallied well over $1 billion. Either way, this just comes to show that Sports Sponsorship isn’t just big business, it’s massive! The problem with sports sponsorship, regardless of initial intent, is that not all deals pan out to be good deals. Consider the multitude of incidents when naming rights agreements caused issues for the sport entities that sold the rights because the sponsor that purchased the naming rights fell into financial disarray. Just two years ago, January of 2011, the Sacramento Kings ended their 25-year deal with ARCO in order to make room for Power Balance. No more than a year and a half later, Power Balance realized they tried to bite off more than they could chew and would join the ranks of companies such as Enron, PSINet and TWA; all of which at one time held arena naming rights prior to filing bankruptcy. Despite all of the mistakes made by the aforementioned companies in the 1990s, errors in judgment continued to be made all over again. One of my personal favorites took place shortly after the financial meltdown in 2008 when our government provided bailouts to a number of financial institutions. How in the world could CitiBank afford a $20 million annual naming rights agreement with the New York Mets, despite requiring a government bailout just to stay afloat and continue with their day-to-day operations? It’s good to know Congress was just as confused as the rest of us. That guy Dan. on Can you stream me now?